Effective Reforestation is a Worthwhile Investment – Timber Marketing and Management of the Carolinas, Inc.
You’ve just clear-cut your timber stand and deposited the proceeds. This money represents decades of patience watching your trees grow. Now it is time to reforest the cutover stand. Why is this necessary? A well-managed pine plantation is like an investment bond; an early investment will yield a strong return years down the road. While timber stands will naturally regenerate if you leave them alone for a long period of time, naturally regenerated stands are often unproductive and take longer to mature than stands which are planted. Natural stands regenerate not only dominant, valuable species but also non-merchantable trees, grasses, and vines. This causes severe competition in the stand and results in a young stand of over 1,000 stems per acre fighting for light, nutrients, and water. We recommend that all landowners use some of the proceeds from their timber sale to ensure their new stand is going to produce a valuable stand in the future. A well-managed pine plantation is an investment that produces dividends. Our goal in reforesting a pine plantation is to create an environment which encourages a productive stand to regenerate as quickly as possible. This involves 1) controlling natural competition and 2) planting uniformly-spaced, genetically improved pine seedlings. This will ensure that the light, water, and nutrients in the stand are allocated to seedlings which have the potential to produce sawtimber-quality trees in the future. There are two primary ways to control competition. The first is to conduct a site preparation treatment consisting of either a prescribed burn or herbicide application before planting seedlings. 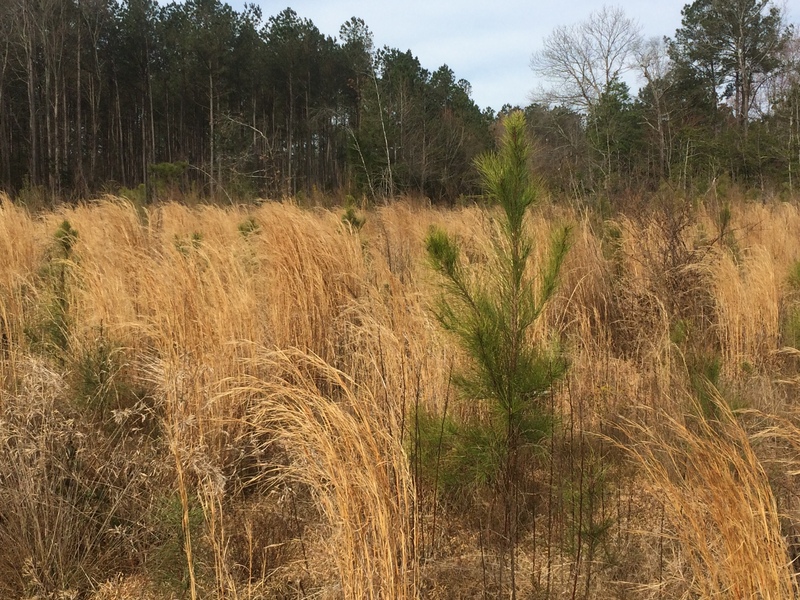 The second is to release the young pine stand with either an herbicide application or pre-commercial thinning when the stand is in its juvenile stage. 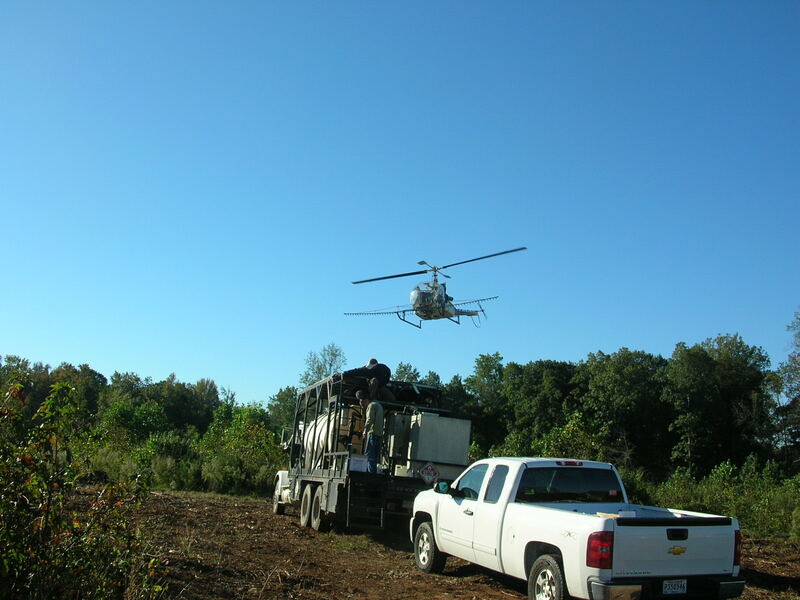 Site preparation treatments are typically conducted when there is a small likelihood of natural seed blowing in from surrounding timber stands. Releases and pre-commercial thinnings are conducted when we expect only hardwood or grassy regeneration, or if the stand is surrounded by mature pines which will seed in for years after the stand is planted. Herbicide applications are frequently used to control natural regeneration both before and after planting pine seedlings. Conducting site preparation or release treatments on timber stands will increase the cost of reforestation. However, the increased cost is an excellent investment because it produces a more valuable stand. Studies have shown that pine stands which have competition controlled either with site preparation or release treatments produce 50% more sawtimber at the final harvest. They also produce more income during intermediate harvests and can be harvested sooner. Stands which are not released need to grow for an average of 16-20 years before they can be thinned, and sometimes these stands are not well-stocked enough to be thinned at all. Poorly-stocked stands which can be thinned produce an average of 25 tons of pulpwood per acre during the first thinning. In contrast, stands which have competition controlled can often be thinned after 14-18 years of growth. Not only can they be thinned sooner than poorly-stocked stands, they also produce an average of 50 tons of pulpwood per acre during the first thinning. Doubling the value produced at the first thinning easily pays for the additional reforestation costs associated with planting the stand and conducting either a site preparation or release. If you have just clear-cut a stand or have a young pine plantation, feel free to call us and we will conduct a no-obligation inspection of your property to determine if it would benefit from these practices. Timber Marketing and Management of the Carolinas, Inc. is a full service consulting forestry and real estate brokerage firm founded in 1989 by Edwin E. Orr. We work as agents for both private and corporate timberland owners in the management and sale of their timber or timberland. Looking for a source of income between timber harvests? It’s possible to gross $1,000 or more per acre per year by gathering, marketing and delivering Longleaf Pine straw. Or if you don’t want to take on the whole job, pine straw suppliers may pay you up to $150 per acre for the right to harvest fallen needles on your land. In Georgia and North Carolina, pine straw is a $50 million industry annually. We were recently contacted by a family who had inherited property many years ago and had no idea of the actual value of the timber. Because there were a number of heirs involved, most of them living out of state, none of them had taken the initiative to determine the value of what they had. Below is a list of management recommendations to insure that you get the most from your new stand of Loblolly Pine Seedlings. Time frame will vary depending on the individual site conditions. Boundary lines and fire breaks should be maintained at all times. Seek professional forestry advice at the first sign of problems. Water – Over most of the south, water is plentiful and usually not a limiting factor, as it is in the west. Food – Can increase quantity and quality through food plots, supplemental feeding and managing timber stands. Cover – Nesting or bedding cover can be improved by any type of timber harvest that opens up the canopy and allows sunlight to reach the ground. This invites new growth beneficial to many species. * Information condensed from “Improve Your Habitat” article written by Larry Weishuhn, wildlife biologist. New research shows that the highest wildlife use of forestland-in terms of total numbers of wildlife, as well as species diversity-occurs in the cutover and seedling stage. A study conducted by Champion International and Stephen F. Austin State University examined wildlife use among cutover/seedling, sapling, pole and sawtimber successional stages. The American Tree Farm System began in 1941 as a means to promote sound forest management practices for private forest landowners. Sponsored by forest industry, the program occurs in all 50 states, however in the early 90’s the program was discontinued in North Carolina . In a cooperative effort from North Carolina ’s foresters and the forest industry, the Tree Farm System is now returning to our state. Planting vs. Natural Regeneration – Which is Better? Both methods are viable options for regenerating a forest, but each has some advantages and trade-offs. Here’s a summary of some of the key considerations. In recent years, thousands of North Carolina timberland owners have experienced significant timber losses due to catastrophic events such as hurricanes, tornadoes, fire and pine beetle infestations. Hurricane Isabel is only the latest example, with estimated timber losses exceeding $565 million in North Carolina alone. Based on our experience, landowners with mature timber damaged by Hurricane Isabel will probably receive less than 50% of the market value of their timber before the storm hit. Last year NC experienced one of the worst droughts on record. Many landowners contacted us concerned with how the lack of water affected their trees. Lack of water reduces growth, lowers resistance to other stresses and will eventually lead to the death of the tree if the drought continues. Fortunately, trees have internal defense mechanisms to help them survive the effects of a drought.